Telephone my office for printed directions. 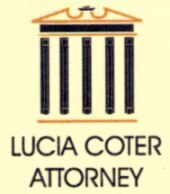 Lucia Coter completed her degree at the University of The Witwatersrand in 1979. She articled at a leading Johannesburg firm where she obtained a firm grounding in High and Magistrate’s Court litigation and other fields of the law. In 1987 she moved to London where she practised with one of the international law firms, being exposed to the pressures of international law representing large corporate clients. Shortly after her return in 1991 she established her own practice. In 2005 she successfuly concluded a matter in the Supreme Court of Appeal in Bloemfontein representing a client with regard to a custody and relocation issue.The citation of the case is F v F 2006(3) SCA 42 with all 5 Learned Judges concurring. 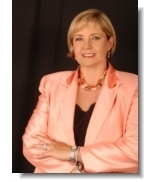 She believes that as a sole practitioner she is able to offer her clients personal and undivided attention regardless of the nature or size of their dispute and always striving to represent her client’s interests with diligence and resolution.